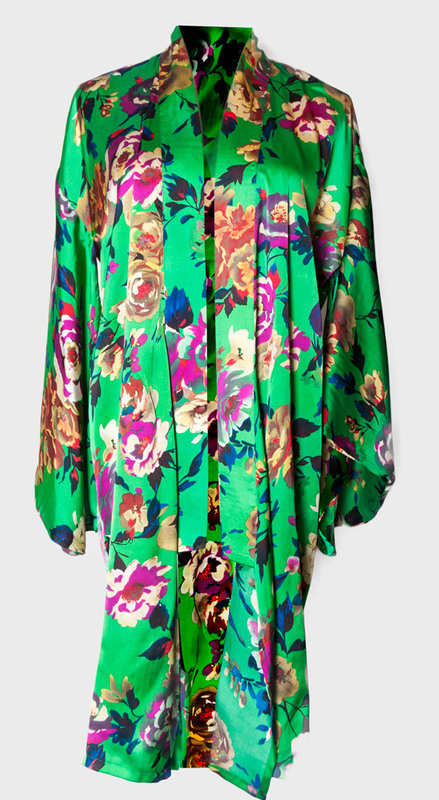 Created for our Spring Summer 2014 collection, Frida is now one of our signature pieces. 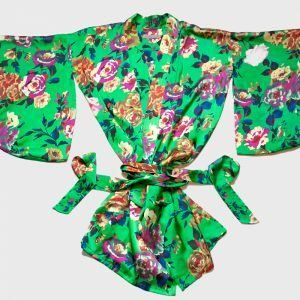 Inspired by the haciendas hues and the sun radiance, the Frida kimono is made with emerald green silk and printed colorful flowers. 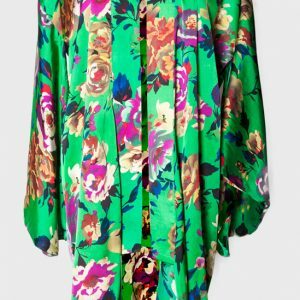 You can wear it as an open jacket or a dress. 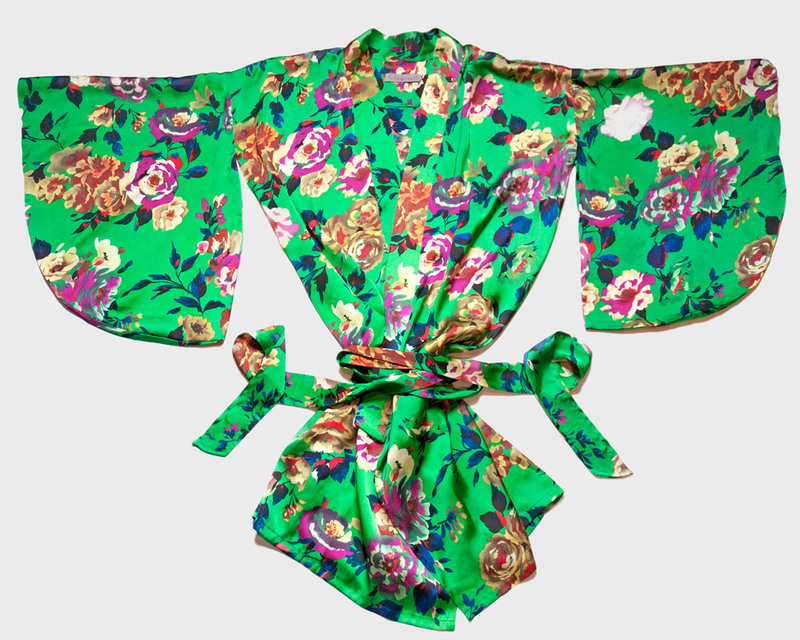 It comes with a matching printed silk belt.